Because of routine maintenance on the Jersey City aqueduct on the evening of April 6, residents were still seeing discolored water last week. The color is caused by sediment disruption in several pipelines, resulting in cloudy and discolored water for customers across Jersey City and Hoboken. Suez Water crews have been dispatched to locations that have reported discolored water and flushed pipelines to clear out the sediment, which the company said was “harmless.” Suez crews are mapping locations across Jersey City and Hoboken to identify addresses still experiencing cloudy or discolored water. The company has instructed managers to flush their building’s plumbing from the basement up (including water heaters) to ensure residents do not continue to experience discolored water. Suez has asked residents to remove aerators from all faucets and run the water for at least one full hour, and check all in-line house filters. According to Suez, they will issue a credit and or adjustment for seven days to residents’ water bills. If discolored water still appears after running the water for at least an hour, please contact the Suez office for your town. Hoboken customers should call (800) 422-0141 and Jersey City customers should call (800) 575-4433 for further investigation. Mayor Dawn Zimmer, members of the City Council, and other officials rededicated the Hoboken Little League Field in honor of Sgt. William Feskin last weekend on opening day. Fesken was killed in combat in Vietnam in 1967 and was posthumously awarded the Army Distinguished Service Cross. The Sgt. William Fesken Memorial Field was named in his honor in 1967. During the ceremony a sign in honor of Sgt. Fesken over the center field scoreboard was unveiled, and the first pitch was thrown by Police Officer Anthony Fesken, nephew of the veteran. The Hoboken Public Education Foundation is on a mission to raise more than $100,000 for local schools this year. Set up by a group of local public school parents, the foundation has raised more than $90,000 in its first year from 2015 to 2016. This year they hope to exceed that figure with the support from local businesses at its annual Spring Gala at the W Hotel on May 18. The foundation is committed to strengthening and enriching Hoboken’s public education experience through private funding, and have funded new programs, including professional development for teachers and staff, family science nights for grades kindergarten through sixth, the storm drain mural project with the Hoboken Green Team, the new sound system in Brandt Auditorium, Calabro Smart Document Cameras, books and a turnstile for Connors Media Center, auditorium sound and an acoustics system in the junior-senior high school and the school’s outdoor marquis sign, and a multi media arts supply package at Wallace School. Public Education Foundation Co-Founder and President Shirael Pollack said she was thrilled with what had been achieved to date, but there was still so much to do with the support of Hoboken’s community. 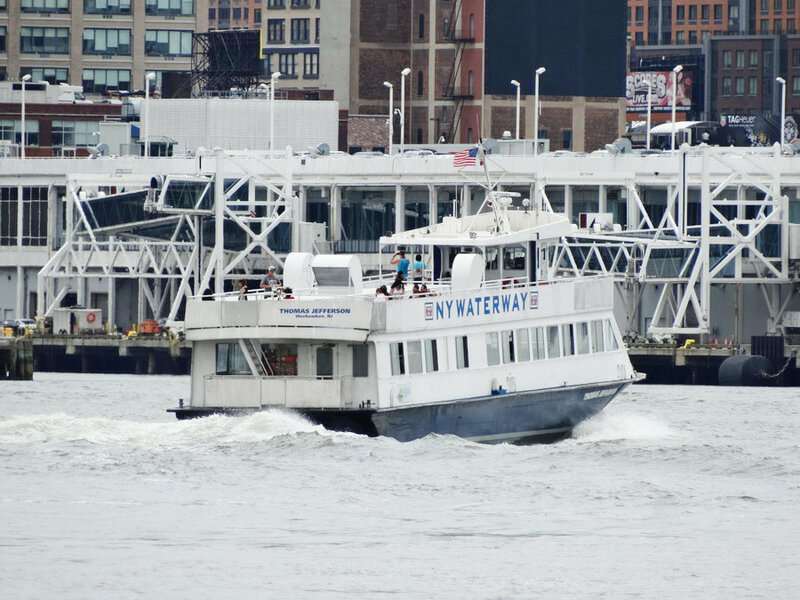 NY Waterway’s emergency ferry route between the Hoboken Terminal and the West 39th Street Midtown Ferry Terminal in Manhattan, which operated during the recent NJ Transit rail disruption, will become a permanent route in September, according to President and Founder Arthur Imperatore. The private ferry company added the route to move New Jersey commuters to Manhattan more quickly and easily after commutes were disrupted due to the April 3 train derailment near Penn Station. Ridership on the emergency route started April 5 and had over 4,000 passengers, according to a media release. Service was limited to NJ Transit ticket-holders, but the new route will be open to all passengers come September. Hoboken Terminal saw significant crowds in the wake of the derailment that the ferry worked to help alleviate. Details of the route still are being developed and will be announced this summer. The Hoboken Shelter will celebrate spring with a happy hour to benefit the city’s homeless community at Cadillac Cantina, 80 River St., from 6: 30 p.m. to 9:30 p.m. on Wednesday, April 19. All proceeds from the event will go to support the shelter’s mission to transform lives by providing meals for the hungry, shelter for the homeless, and services to support people to become housed. They shelter 50 people nightly, serve 530 meals daily, host 1,000 showers weekly, and provide such support services as food, shelter, case management, counseling, job and life skills training, creative arts workshops, and emergency homelessness prevention grants. The fundraiser will feature drink specials, light appetizers, and fun prizes. Admission is a $25 donation at the door. Tickets for the Spring Fever Happy Hour can be purchased on the Hoboken Shelter’s website at www.hobokenshelter.org. The National Ovarian Cancer Coalition (NOCC) will host their 2nd Annual Run Walk to Break the Silence on Ovarian Cancer on Saturday, May 6 at 11 a.m. in Liberty State Park in Jersey City. To register, go to http://runwalk.ovarian.org/tristate or register the day of at 9:30 a.m.
“Please join us this year as we take 150 million steps across the country in celebration, remembrance, and support of ovarian cancer fighters everywhere,” the NOCC’s announcement said. Learn how to become a CASA (Court Appointed Special Advocate) volunteer and help foster children find safe and permanent homes. The next information session will be at Little City Books, 100 Bloomfield St., Hoboken, on Tuesday, April 18 at 7 p.m.
A Holocaust themed exhibit will be held on the Stevens Institute of Technology campus from April 16, the last day of Chol HaMoed Passover and Easter Sunday, to July 1. The exhibit entitled The Holocaust in Metal and Stone will display Holocaust themed monuments and sculptures by Dr. Milton Ohring, a former Stevens professor, in the Samuel C. Williams Library of Stevens Institute. An artist’s reception will take place from 1 p.m. to 3 p.m. on opening day and Kosher-for-Passover food will be provided.